Yazd Hotel | You can find Nartitee as your home. It is an eco-friendly 100-year-old guest house with a spectacular local architecture. Nartitee is inspired by nature and it literally means the pomegranate’s blossom. In Nartitee, we, Zoroastrians, not only offers you kindness but also the unique ambiance related to our ancient religion. We are more focused on the details, so we offer a more personalized stay, making the entire experience really unforgettable. Nartitee is conveniently located in Taft, a Zoroastrian neighborhood of a peaceful village. It takes about 20 minutes to reach Yazd. Some other sightseeing like Cham gigantic cypress tree, Dakhma Mobarakeh’s twin big cypress (sarv) trees, Zein Abad Fire Temple and etc. are easily accessible. We highly recommend you to take a stroll or ride a bike in the authentic rural lanes. 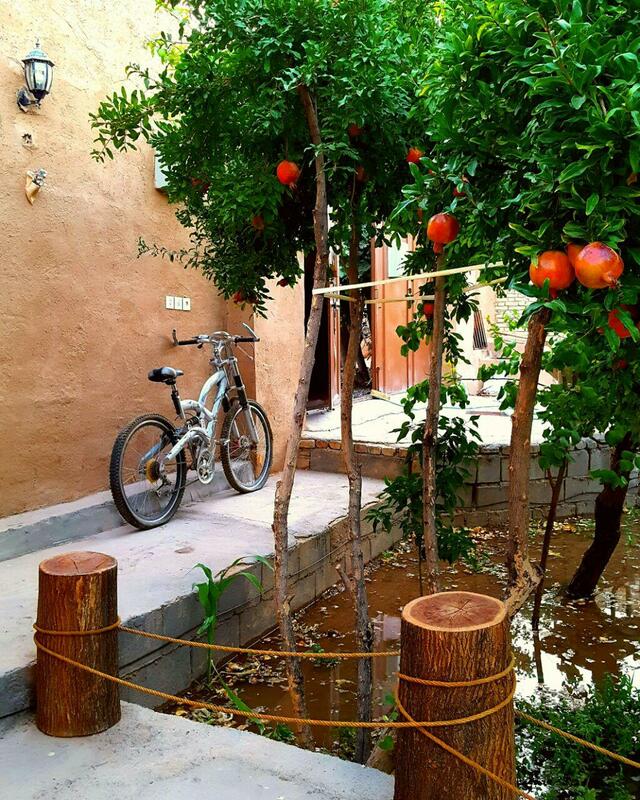 We have 7 rooms with free WiFi, a hall for gathering together and chat, a restaurant, an outdoor coffee shop, a locally furnished basement with LCD television, an orchard garden and a huge pomegranate garden in our Yazd Hotel. We offer you to visit our roof top terrace. You can also find our meals completely homemade. Payment before chech-out by cash. Free maps, tea and some surprise! Lunch and dinner upon request.